Documentary films stand or fall on the strength of their soundtracks — and when you are recording the emotional outpourings of a world leader, there are no second takes. Rich Symons has more experience than most of reducing presidents to tears. SOS readers with long memories might remember Rich from his days with one of this country's leading dealers of recording media to studios and video post-production houses. When demand for two-inch tape and DATs began to dry up, however, he moved on from the studio supplies business to pursue his dream of running an independent film company. 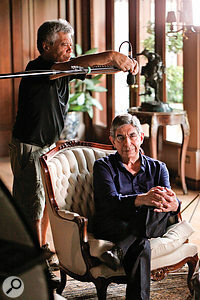 Spirit Level Film have spent the last few years tracking down the world leaders responsible for various history-making events and unveiling the personal contexts — and costs — of their decisions in a series of feature-length documentaries. 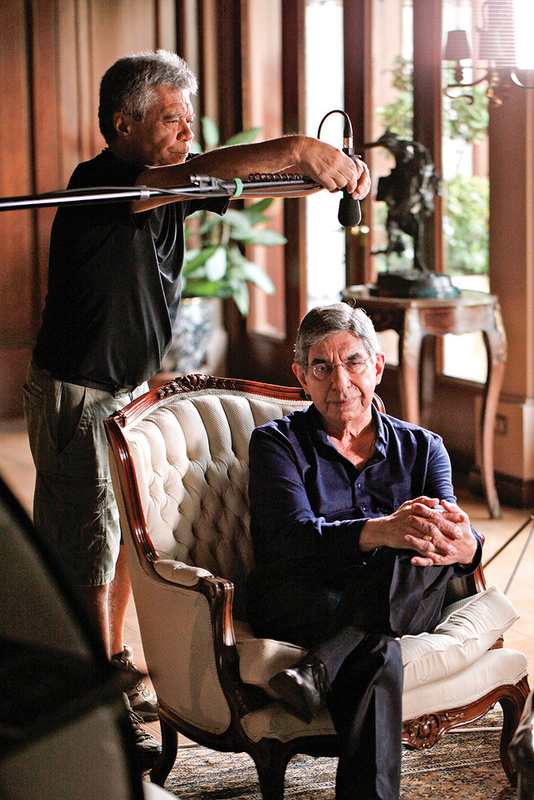 Parts one and two of The Price Of Kings focus, respectively, on Presidents Yasser Arafat and Shimon Peres, while a forthcoming third episode brings to life the extraordinary story of Oscar Arias, former President of Costa Rica and Nobel Peace Prize winner. 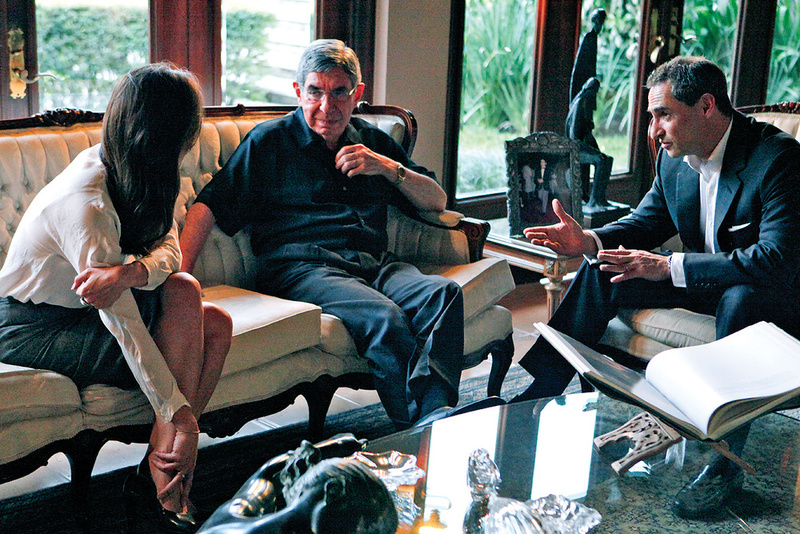 Price Of Kings directors Rich Symons (right) and Joanna Natasegara talk to former Costa Rican president Oscar Arias in preparation for their interviews. Through tenacity and hard work, Rich and his team of researchers secured access both to Peres and Arias, and other central figures such as Arafat's widow Suha. 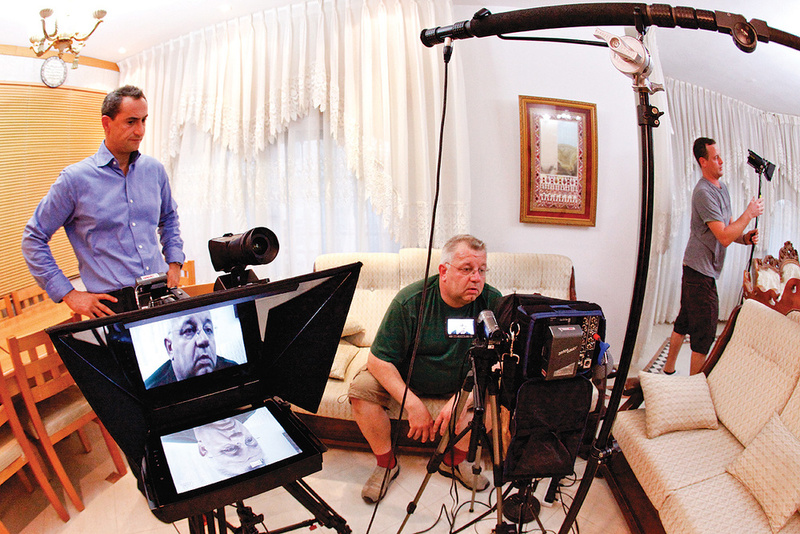 They also persuaded many former military and paramilitary leaders to talk on camera, including highly controversial and understandably reclusive figures from the Arab-Israeli conflict, some of whom had to be interviewed under less than ideal circumstances across the globe. Knowing these opportunities would never be repeated, Rich set out to make sure that nothing could go wrong. This meant selecting the right equipment, and hiring the best people to work it. "There were some fairly unusual technical requirements at the sound end of things for this project. Unlike a feature film, you can't say 'Oh, can we do that bit again?' So we had to be relatively rigorous about the kit we spec'ed, because of reliability issues. I can't overestimate the importance of being really diligent with that stuff at the very beginning. We were shooting in rainforests [in Costa Rica], deserts and so on, and everything had to be bulletproof. 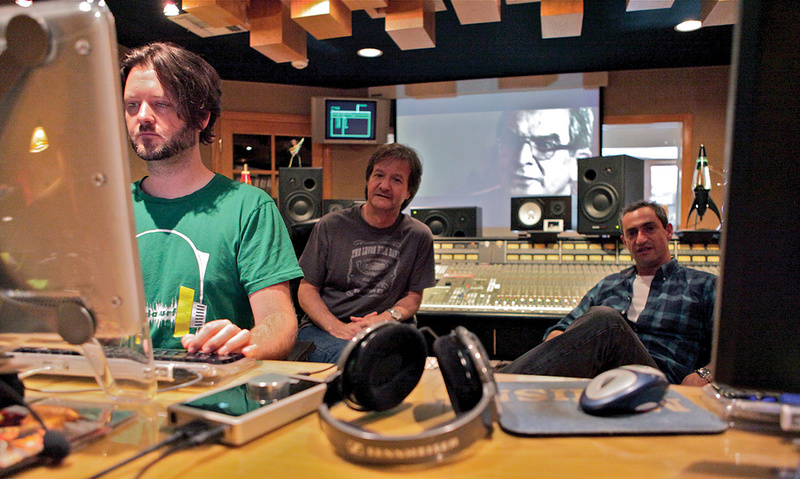 Rich's desire to ensure the programmes sounded as good as possible would eventually lead him to involve legendary music mixer Bob Clearmountain at the post-production stages. Meanwhile, the job of capturing audio on location was placed in the safe hands of leading sound recordist Simon Bishop. His role is a specialised one, demanding a unique blend of rigorous attention to detail, diplomacy, and the ability to adapt instantly to different circumstances. "We usually arrive and are shown to a room which will be where we are to do the interview,” he explains. "The director and cameraman will be deciding on camera positions and so on, while I quickly assess what potential problems there might be, and ways that we might work around them. These might include traffic noises, or building noises such as air conditioning, or even that of other people working or going about their lives within the same or an adjacent building — TV in rooms nearby, secretaries answering phones, that sort of thing. Some of these noises can be dealt with — you can turn aircon or TV off, ask secretaries to not answer phones, or even unplug phones — but others, such as traffic, can be less controllable, in which case we might consider looking around for a quieter room nearby. Whatever we do, it is a good thing to be polite, but firm, to explain why, but overall to be swift in our discussions and decisions. Sometimes that's easier said than done with a head of state! Although, in theory, there are times when background noise can serve as scene-setting ambience, Simon always seeks to minimise it, in order to capture the dialogue as clearly as possible. "I work on the basis that you can always add extra noise and sound effects, but it is far, far, more difficult to remove them after the event. If it is easy and convenient to make the background noise quieter on the day, I always say go for it. Where possible, Simon likes to work with conventional microphones on booms, rather than lavalier or 'personal' mics. 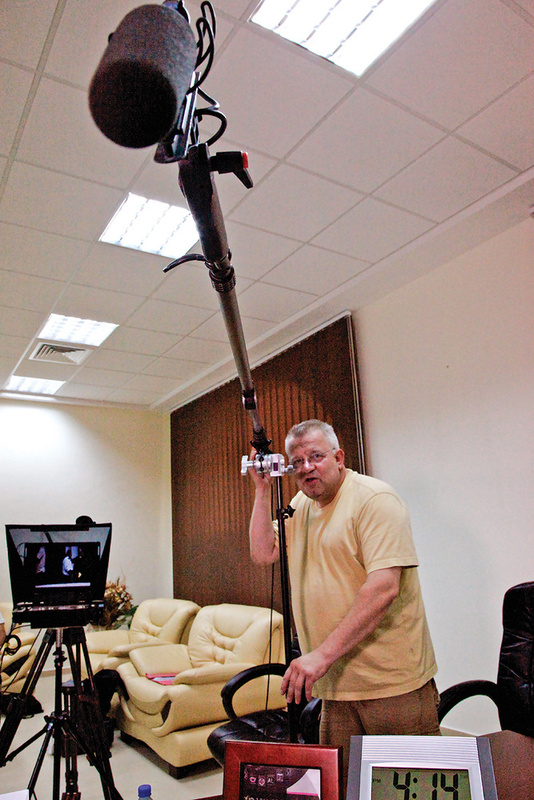 Simon Bishop positions his favoured shotgun mic on a boom arm. "I tend to use a short shotgun for the interviewee, as I find they tend to sound most natural and clear. It is the line of least complication for whoever we are interviewing. Personal mics tend to sound muddier, bearing in mind the less than ideal positions that we often have to put them in. They can pick up clothing noises, scratches and rustle, and, to my ear, sound unnaturally close. 'Boom is best' is my motto! A boom mic over the top usually sounds more natural, and allows the interviewee to move around within their seated position without going off-mic, while still giving me a crystal-clear recording of what they are saying. Once everything is set up to his satisfaction, Simon generally aims to find somewhere else where he can work without distracting himself or the interviewee. "My general view is to try and get everything right before we start, and then to leave them all to it and not to have to bring any attention to our being there and filming. I tend to prefer to get myself out of the way, in an adjacent room, or nearby, wherever the cables will reach and I can still be monitoring — this allows me to get on with labelling tape boxes, or to be uploading rushes to our storage computer if we are working fully digital, with files. Usually, I am able to set things up such that I'm confident that the interviewer and interviewee are unlikely to move away from my mics, so I can pretty much rely on them staying on-mic. If I can't get out of the room, I will look to find somewhere I can hide, especially from the interviewee's eyeline. Simon Bishop monitors the progress of an interview from his glamorous perch in the corridor outside! I don't want to suddenly find myself in eye contact with someone just as they are revealing what goes through their mind when they send men to war, or how their relationship fell apart, or whatever. There were several times on location when the whole crew, including myself, were in tears, and it's easier if you're not in the same room! Not all interviews could be conducted in the relative calm of offices or hotel rooms, and minimising background noise was a serious challenge, at both the recording and mixing stages. For The Price Of Kings, Simon obviously did not want to be experimenting with untried equipment, so he stuck to familiar names. "I used my pretty much standard kit. I have a Zaxcom Fusion mixer/recorder, which allows me to mix and record within the one box and to send a feed out to the camera as well. I generally used a Schoeps CMIT short shotgun mic as my main boom for the answers, and a Sennheiser MKH50 for the questions. Richard Symons wanted to build a kit for Spirit Level, the production company, to have and use for themselves, as it was likely that I might not be able to do all of their shoots. For this kit, I specified Sennheiser MKH60 and MKH50 mics, as they are rock-solid, and are pretty much universally known around the world, and of course they sound crystal clear, and work in almost any conditions. I also specified Sennheiser HD25 headphones, which are just about an industry standard, and also Sennheiser HMD26 headsets with a built-in boom mic for situations where we needed to do simultaneous translations. "I send a guide track of my audio — questions on one track, and answers on the other — to the video camera as we shoot, and I also record a backup track to my Fusion recorder. As we are doing long takes — maybe 30 minutes or whatever length the camera's card can do — the easiest way to get sync is to simply clap your hands in front of the camera to give a sync mark. It is old-fashioned and simple, but it most certainly works. Because there are so few takes to sync up, it can be done in post in moments. 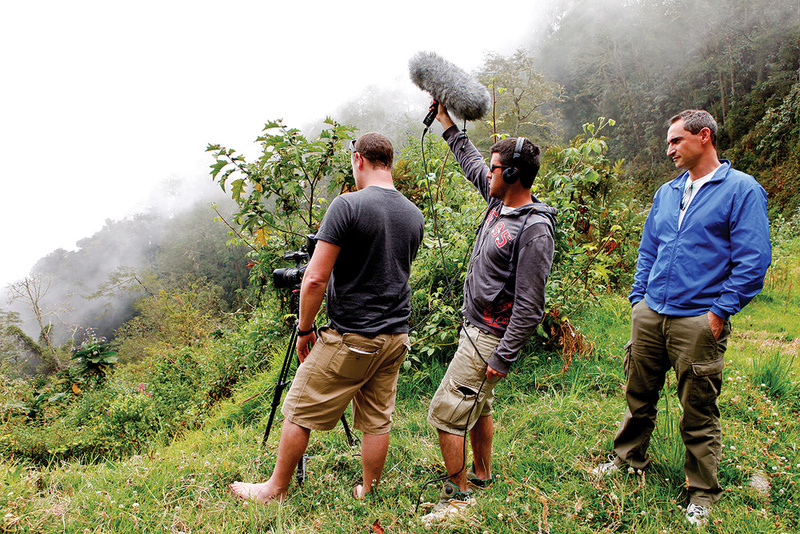 The team's quest for interesting background footage took them to some environments that would challenge their equipment to its limits, like this volcano in the Costa Rican rainforest. Each film in the series runs to approximately 75 minutes — a running length which had to be culled from perhaps 30 hours of raw interview footage, plus archive material and 'atmosphere' footage taken in and around the chosen locations. Editing was thus a massive undertaking, not simplified by the fact that interviews would often take the stories in unexpected directions. "That's the main difference between documentaries and feature films, I think,” says Rich. "With features, you've got your blueprint in your script, and then you go and shoot it — which is no mean feat in itself. But we always go into things with a blueprint that we think is the story, and inevitably it's a whole script rewrite in the edit suite. No matter what we think the story is, someone will turn around and look at you, or look away from the camera, or say something with a nuance, and it will turn everything on its head and you'll realise everything you thought you knew, had read about and researched, more often than not the accepted point of view, was wrong. 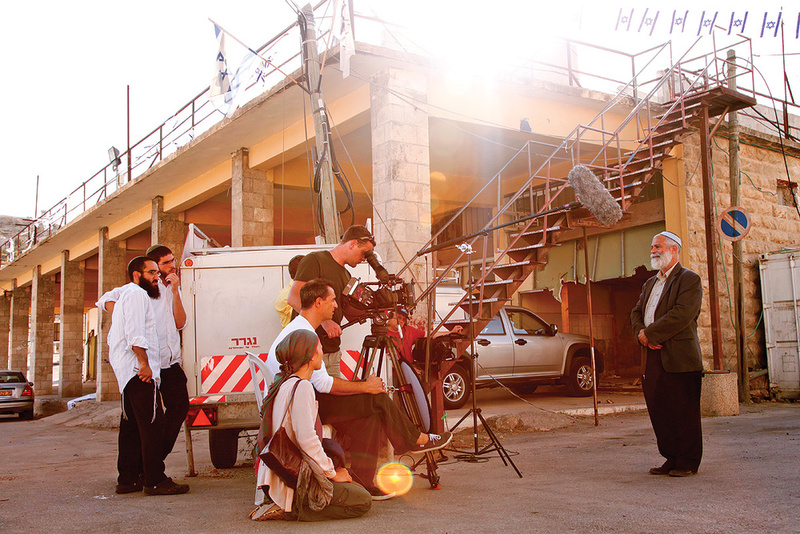 Early in the editing process for the Arafat film, Rich and his team decided that they needed some help to get the best from the audio side of things. As well as dialogue, they also had sound effects and specially written music from Stuart Briner and Tom McFarland to fit in, and it was initially for this reason that they turned to celebrated mix engineer Bob Clearmountain. "When we got the music into the films,” explains Rich, "it started feeling like it shouldn't be background music, that it should be more of an integrated sound, and that's not easy. If you imagine a traditional film-sound post-production guy, that's not normally what they do. They normally have dialogue sitting above the music, and the music serves as a background or a cue to emotions. It felt like we were fighting with the music sometimes, and Bob, of course, is used to traditional music production, where the lyrics have to be discernible but they fit in with the music, they're integrated. We weren't sure if that could be done properly, and Bob was the guy who showed us the way. As far as Bob Clearmountain himself was concerned, this was a fresh challenge, and one he accepted with relish. "Although the actual mix of the music is similar to what I normally do, mixing a documentary film is quite different in that the music really has to take on a supporting role compared with dialogue. A great deal of the work goes into making the interview segments as intelligible as possible, with some of the accents posing an additional challenge in this case. Generally, the variance in voices and levels across the interviewees was tremendous, from the wife of a President quietly sobbing, to the guy who trained Carlos the Jackal shouting into the mic 'Yes, I declare I'm a terrorist! And proud to be a terrorist! 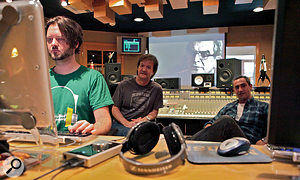 '” Pro Tools editor Brandon Duncan, Bob Clearmountain and Rich Symons at work in Clearmountain's Mix This! studio. Despite Simon Bishop's good work, there was inevitably a good deal of variability across interviews recorded in different places, with different subjects, and the biggest challenge for Clearmountain was trying to bring a sense of consistency to the soundtrack. "We often had to rely on radical EQ, compression and noise-suppressing plug-ins, besides extensive level rides on the dialogue tracks. The differences in background noise on the interviewees is enormous on a project like this — from a backstreet bazaar in Jordan or the home of a president to refugee camps and bombed-out government buildings. A lot of it's about finding space between the spoken words where the louder sounds like gunfire, a riot, or explosions from on-camera footage can fit in without drowning out the sound of an interviewee in tears. The technology of digital video cameras continues to develop at an incredible rate, and is already well past the point where independent film-makers can afford to hire equipment that easily reaches today's broadcast specifications. "The basic requirement is that you need to be able to shoot in HD, which is 1920 by 1080 pixels, and for broadcast you need a 50MB/sec data rate,” says Rich Symons. "We'll pretty much shoot with anything that will provide us with that — for the very last film we used Canon VF305s, but also Sony PMWEX1s and EX3s — generally coupled with fairly expensive Canon lenses. "When we first started shooting the series, just for one camera you'd need three flightcases: the camera, the lens, plus a thing we used called a Nanoflash, which plugged directly into the camera's sensor output and gave you your 50MB/sec bit rate. Two years down the line, it's one flightcase, one camera — with the same quality optics and a 50MB bit rate. So it's got cheaper and more compact by a factor of three. The Interrotron, as seen by the interviewee (above) and interviewer. If one piece of equipment was central to the making of The Price Of Kings, it's a device nicknamed the Interrotron. 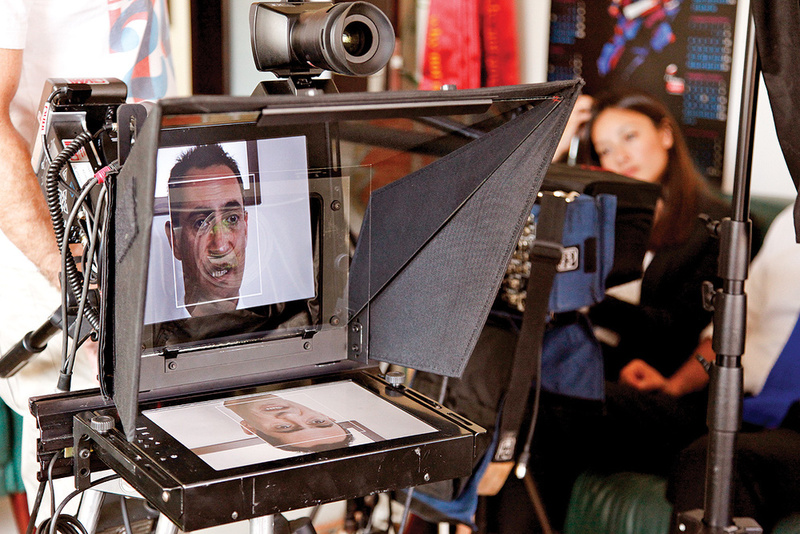 Rich Symons explains: "It's a piece of kit that was originally conceived of by Errol Morris — he used it in The Fog Of War — and it allows the viewer to look your interviewee in the eye. And it's amazing the difference that makes. If you think about it, you can see if someone's looking at you when they're 50 yards away. That has a very immediate, subconscious effect. What we were trying to do with the series was get on screen the intimacy of these guys confronting their consciences in a very private conversation, almost like a father and son. That needed intimate eye contact. 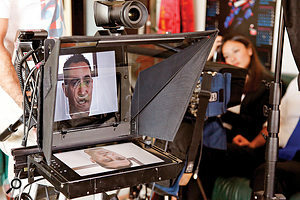 "The Interrotron is a two-way mirror which sits in front of the lens of the camera. It's an adapted autocue machine. Normally, you would project the words onto one side of the two-way mirror and the subject would read them — but what we do is project the interviewer's face onto the autocue machine, so my eyes are basically sitting in front of the camera lens. This means that the interviewee is looking straight into my eyes, and ultimately straight into the viewer's eyes, and reacting to my facial expressions. It's hard to overestimate the impact that has. As a viewer, you really feel they're talking to you. 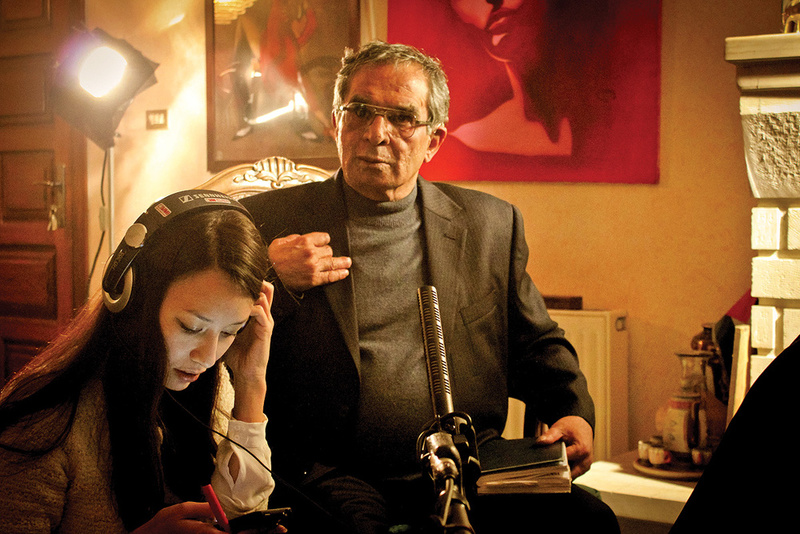 Joanna Natasegara with Bassam Abu Sharif, whose near-deafness made for a challenging interview.